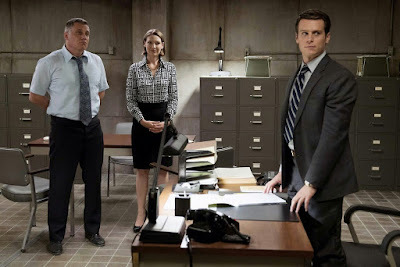 The series is based on the book Mindhunter (1995), which was written by the central FBI Agents portrayed in the new Netflix series, John Douglas and Mark Olshaker. Of the two original authors, John Douglas is still alive and has been a creative consultant on the series. 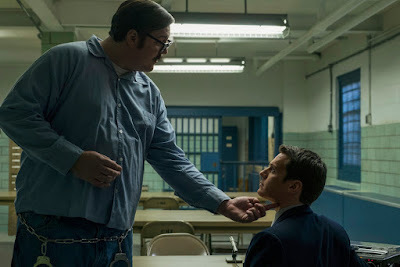 As for the TV adaptation itself, it looks like a realistic and honest look at some of the first FBI profilers who attempted to collect scientific data on the nature of serial killers. Honestly, I think David Fincher's interest in his other Netflix series House of Cards (2013-Present) has waned a bit after his initial powerhouse first season of that show. But all that creative joie de vivre he felt in that show's initial run seems to be on full display again in Mindhunter's first season. And in spades. And interestingly, David Fincher seems ready to leave behind the faulty "tortured genius serial killer" premise that spurred on The Silence of the Lambs (1991) and helped launch his own career with Seven (1995), and acknowledge in this series that the sad truth is that most serial killers are severely abused and dysfunctional individuals who do not obsess with the fine arts and opera. From the promotional interview with Charlie Rose above, David Fincher also mentions that he realized that his attempt to squeeze so much character development and story into the theatrical cut of Zodiac (2007) was essentially a bridge too far to cross and film audiences deserve a little more closure in their movie-going experience. 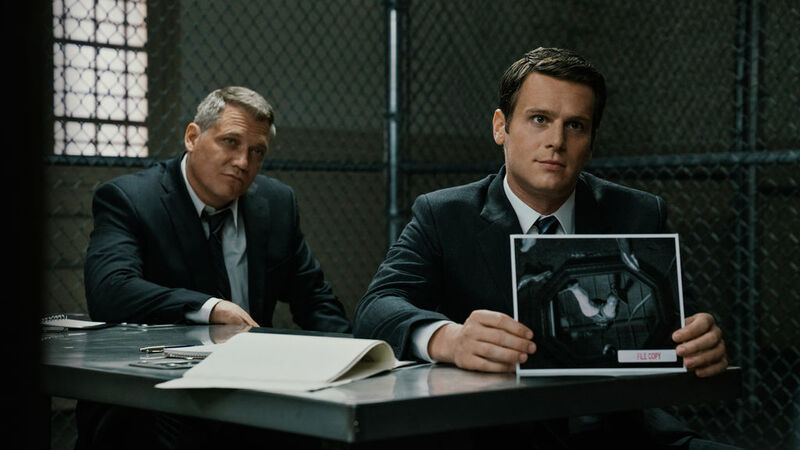 So David Fincher feels far more comfortable taking his time with Mindhunter (2017) and giving a long-form story to people in more manageable bites that they can watch in the comfort of their own home at their own pace and schedule. I admit, I think David Fincher is one of the best directors in the world and I look forward to all his new projects, but I think this story is probably one of the most personal and important for him in his career and I will look forward to watching and analyzing it in a future article. And aside from not being able to direct every single episode and frame of the story himself, David Fincher still treats his TV show like one of his films. He is directing the first two and the last two episodes of the season, which I think is a great way to leave his seal on the proceedings. Fincher is a forward thinking visionary and I hope Quentin Tarantino and some of the other great film auteurs should consider following suit and creating more content for television, too. This is the time.